What a great experience it was to be the first one in the US to photograph & drive Alfa Romeo's SUV crossover, the Stelvio. Being based in Los Angeles I thought it would be best to take the car out of the city landscape and do something a little more unique and daring. With my video crew following we went out to Palm Springs and the Joshua Tree Desert near Pioneertown to put its first miles on. Besides being a beautiful piece of Italian design the Stelvio proved its ability through some serious driving situations and weather on the three day excursion. To read the full story on Forbes please click the link below. 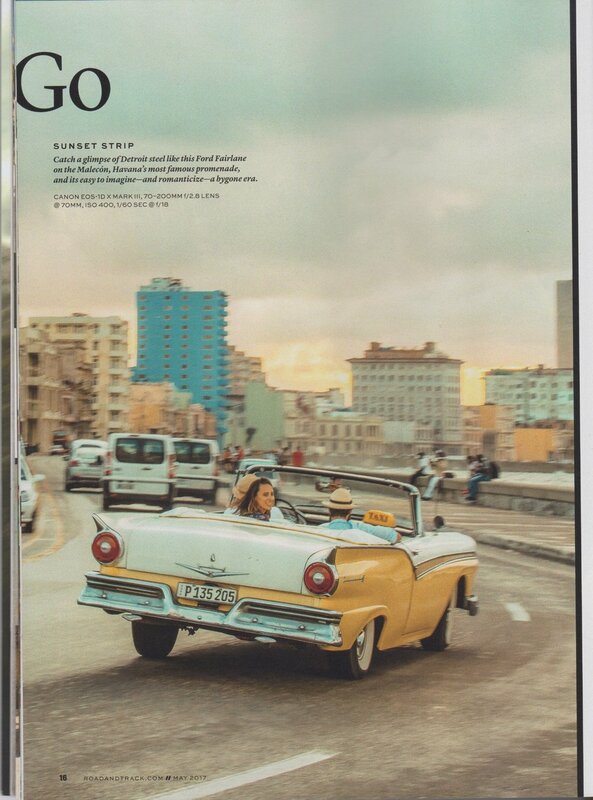 In December 2016, I was given the incredible opportunity of traveling to Cuba and shooting for one of my favorite magazines Road & Track for their most visually exciting section "GO.” I had been to Cuba earlier in the year for a quick trip, but was looking forward to diving deeper into the culture and bringing back photographs that could represent this incredibly unique place and moment in time. One week after Fidel Castro's death, I landed in Havana once again to take in the crumbling yet beautiful architecture, paired with the classic iron and the consistent electric sounds of Cuban music playing in the background. This all made for a very inspiring assignment. Walking the streets with my camera looking around every corner, it seemed no matter what direction I turned, there was a photograph in motion and I had to be ready to act on it. Even though I have done my fair share of traveling and photographing, I still do get a bit nervous approaching strangers in the beginning. Especially when I don't speak the language in a foreign country. But after the first day, I came to realize that the majority of people I came across were incredibly friendly and comfortable with having photographs taken of them in their natural state. If you have any interest in cars, art, music, architecture and history, Cuba should be a must on your list this year! This is the time to go, but you must me prepared and do your research ahead of time because your American credit and debit cards won't work, nor will your cell phone (except for the occasional wifi cards you can purchase). So bring enough cash and budget wisely. Pick yourself up a reliable guide book and you'll be good to go. Cuba acts as a great escape from the modern day world and takes you back to a time when socializing was done through true physical interactions. My colleague Christian Johnston and I had the rare opportunity to enter into the Italian secretive car design and manufacturing facility, CECOMP to see how the one-of-a-kind, hand-built world's first titanium supercar was made. 10,000 man-hours of handcrafting the outer shell using the old tradition of Turin hammers, it was shaped into it's striking design. As if viewing the supercar and facility wasn't enough, we had the first ever drive of the $2.8 million car on the epic winding hillside roads above the beautiful city of Turin, Italy. An understatement it would be to say I was a little nervous! 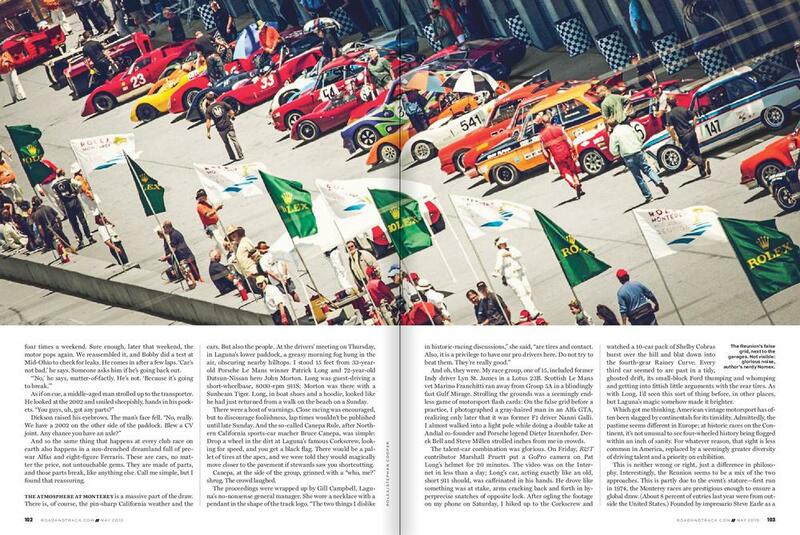 The feature is out now in the February 2017 issue of Automobile Magazine. 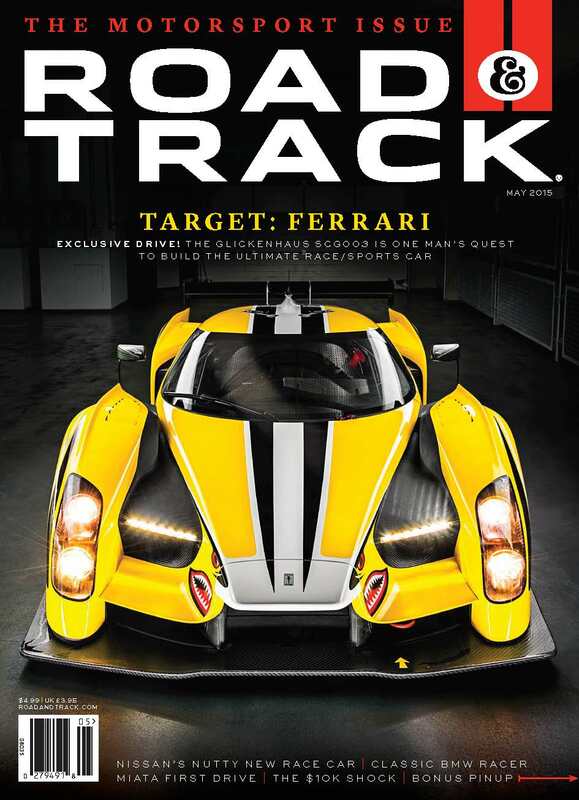 I have a feature in the May issue of Road & Track Magazine now available at your local magazine stand and retailer! 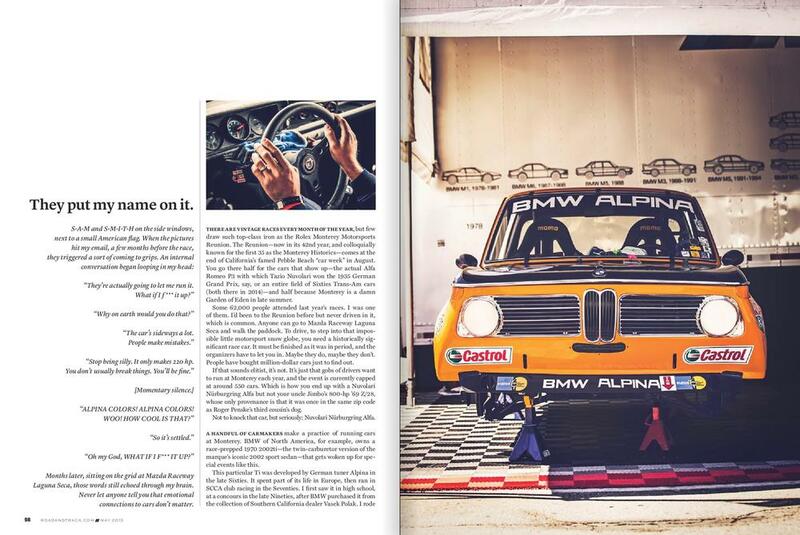 Last August I had the pleasure of spending a couple days with R&T's executive editor Sam Smith at the Annual Rolex Monterey Motorsports Reunion photographing his racing experience in a BMW 1970 2002ti. Sam was understandably like a kid at a candy shop getting to zip around laguna seca's track in a motorsport's enthusiast’s dream event. Race day we were struck with the typical Salinas morning fog, which in turn delayed the first session of racing by almost an hour. Luckily the afternoon's weather cleared for the second session and Sam had an amazing time on the track. As for me I had a great time and enjoyed the experience shooting with the R&T team at one of my home tracks. Show your support and go buy your copy today before they sell out! Published photo in this year's Continental Tire calendar. Images reflect on the exciting moments of the past year from the Tudor United Sportscar Championship and the Continental Tire Sportscar Challenge.